We’re currently at $2,000. Which, you know, is fantastic. But there’s absolutely no reason that it couldn’t go higher. Especially when you’re bidding to create a sum that will go to give toys and games to small children in hospitals. Here’s all the details about the auction and how to bid. Not every writer comes up with an idea and immediately moves on it. Some let the idea sit and develop — or let life get them to a point where they’re ready to take it on. 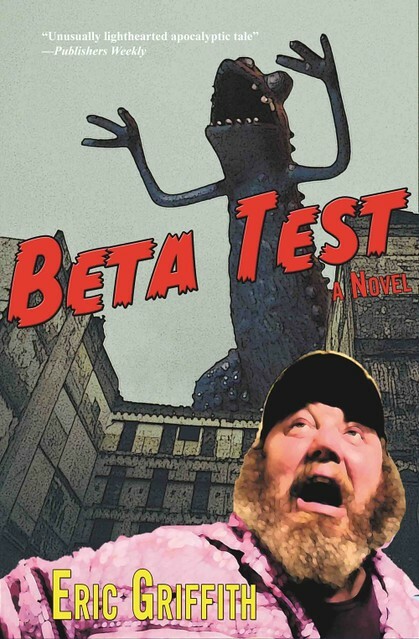 Take Eric Griffith and his novel Beta Test. The idea was there, but were the conditions ripe for the writing? Griffith explains when he knew when it was time to take Beta Test to gold master. Some ideas just eat at you over time until they’re ready to burst forth like Athena, fully formed from the head of Zeus, where she’d gestated for months until his headaches became too much to bear and he asked Hephaestus to crack open his skull. My book is not like that, at all. It required very little blunt-force skull trauma. Almost none. 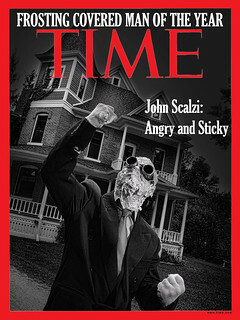 The title seemed great, but it was hardly a new idea. A few years later, I recognized elements of it in The Matrix. Entire papers have been written about how our own universe is someone else’s virtual reality. (I know, because I downloaded a couple of truly boring dissertations on the topic and tried to read them.) Really, I thought, it’s ultimately kind of boring. Virtual reality: yawn. So I forgot about it. For 14 years. Mostly. But Beta Test was always there, a tickle of an idea in my noggin. Then what I’d imagined started to come true. Sort of. I watched as my then wife become absorbed in an online virtual reality world called Second Life and it truly was her second life. She was on it constantly. I tried it and didn’t really see the point. I couldn’t shoot bad guys! There were no puzzles! It was just boring… like the first life. But it was impossible to overlook how interesting it was to some people, and not hard at all to extrapolate what it would be like if our own world was, indeed, a game. Not for us–we, the people (and animals and plants and aliens and whatever developed in our universe) are not players, we’re the non-player characters–but that doesn’t make us appreciate our lives any less. That became the big idea. The game (and thus, all life) is going to end soon. First the players leave, but the “servers” keep running. Someone is going to turn it all off, eventually. And that means all the non-players who live on go buh-bye. Right? My protagonist, of course, had to stop that, so I had a plot. It didn’t hurt that I based the main characters on friends of mine; they gave me a love story. 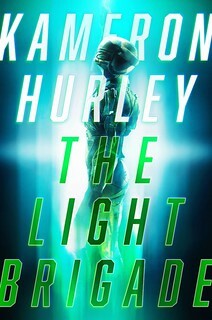 If it’s not obvious, the book isn’t about how humanity survives a horrifying mass-disappearance. In Beta Test that’s just one little bit of the big bag of crazy that takes place. Ultimately, it became a quest. Hopefully a fun quest, that includes chase scenes, off-beat romance, dinosaurs (the alpha test! ), and, naturally, a higher power or two.